There's a simple reason why pancakes are round: Because gravity is an excellent chef. 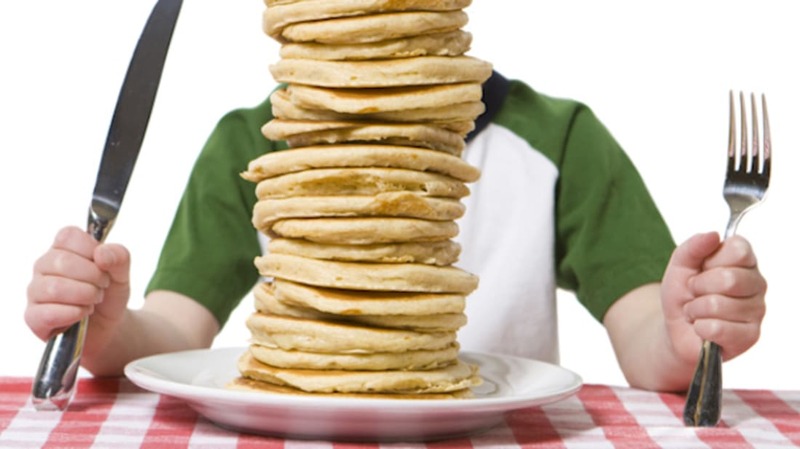 Gravity pulls on fluid uniformly, so when a dollop of batter hits the griddle at a right angle, it gets tugged down into a round, symmetrical shape. Meanwhile, surface tension helps hold it in a perfect circle. If you’re a nonconformist who prefers a Jackson Pollock–style lumberjack breakfast, toss the batter onto the griddle at an angle. Delicious Abstract Expressionism should result!